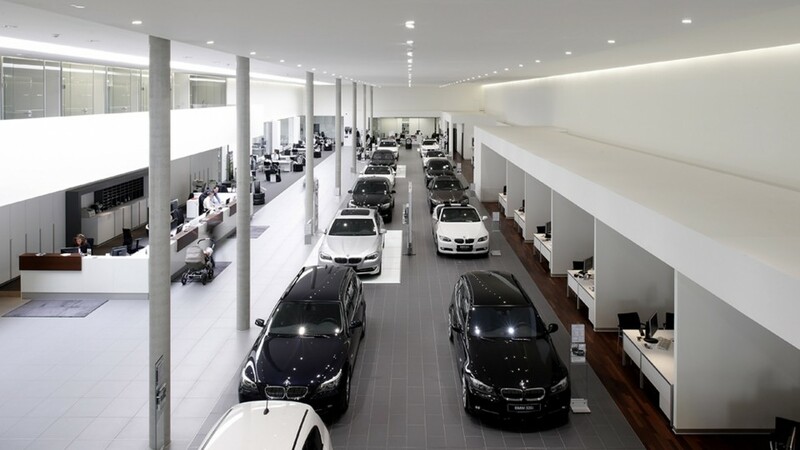 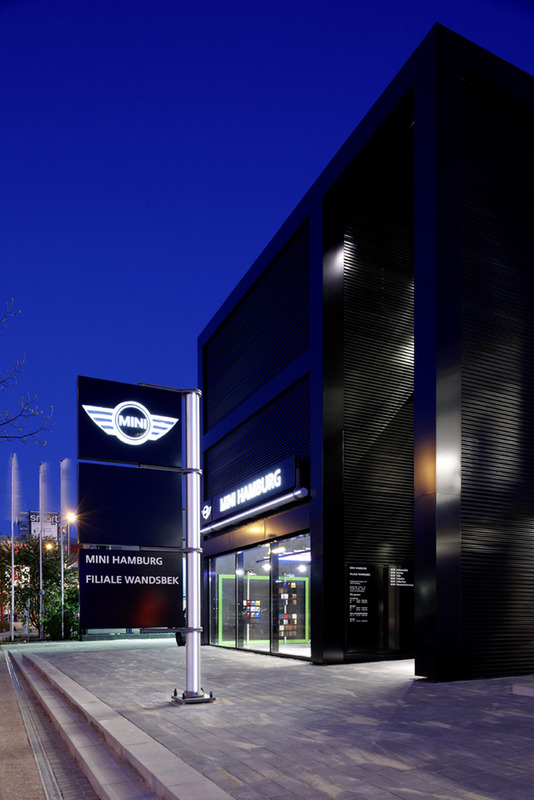 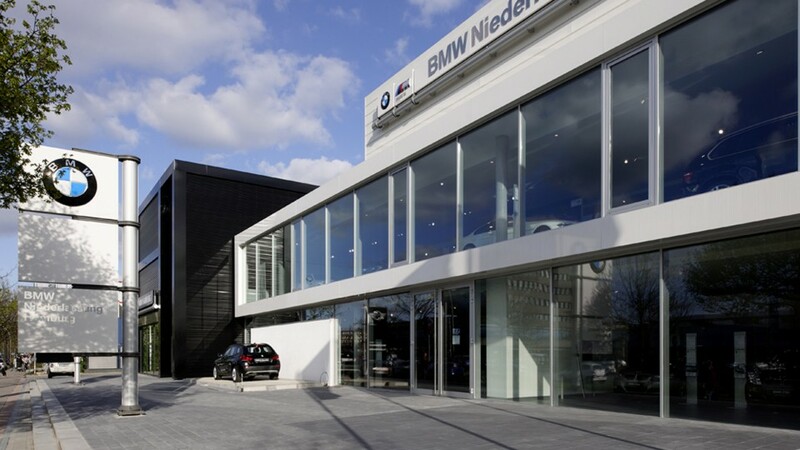 The newly built showroom and administration space with car park for the large BMW and Mini branch in Hamburg Wandsbek is located in a diverse commercial area on Friedrich-Ebert-Damm. 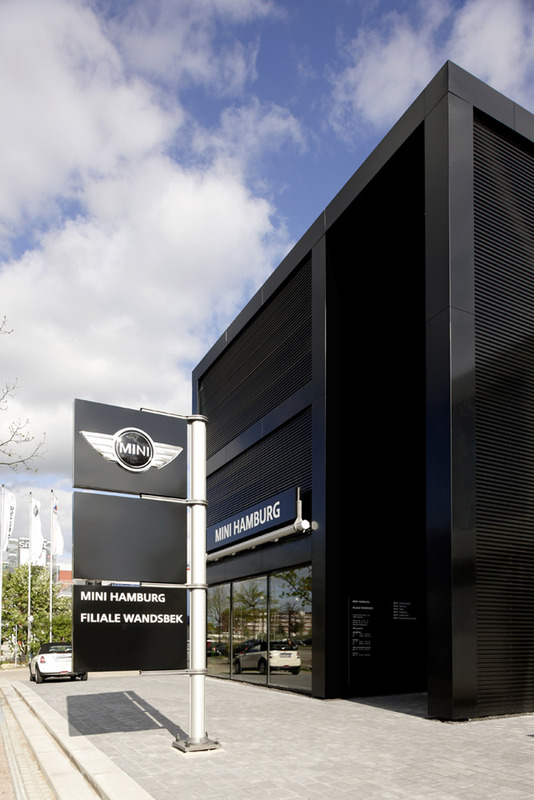 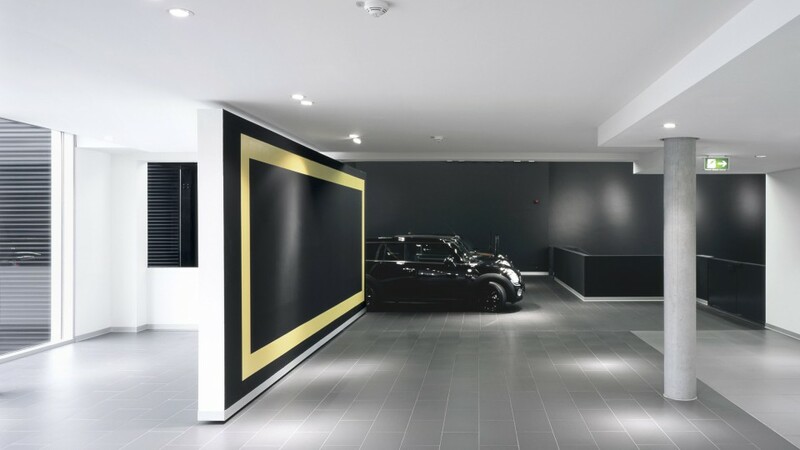 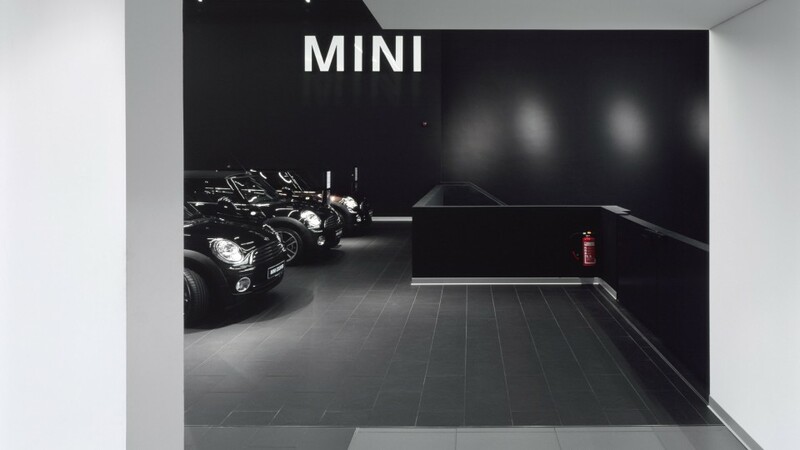 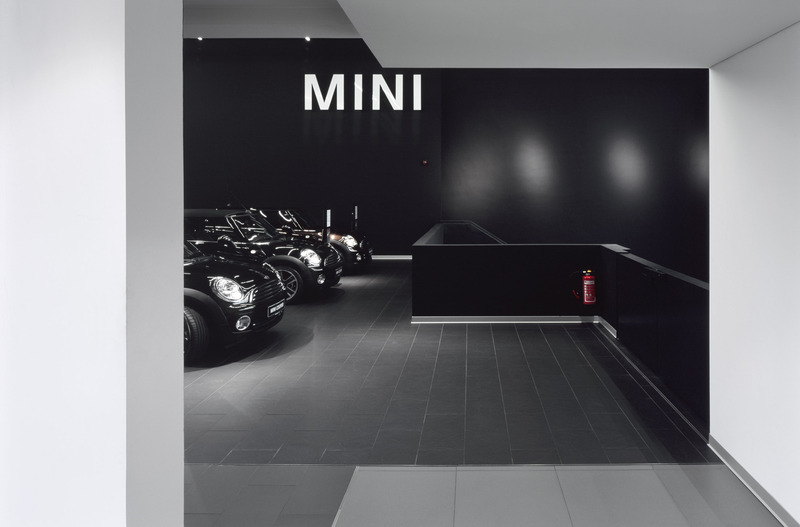 The horizontally aligned, white building of the BMW branch interacts with the stand-alone, vertically structured, black cube of the Mini showroom. 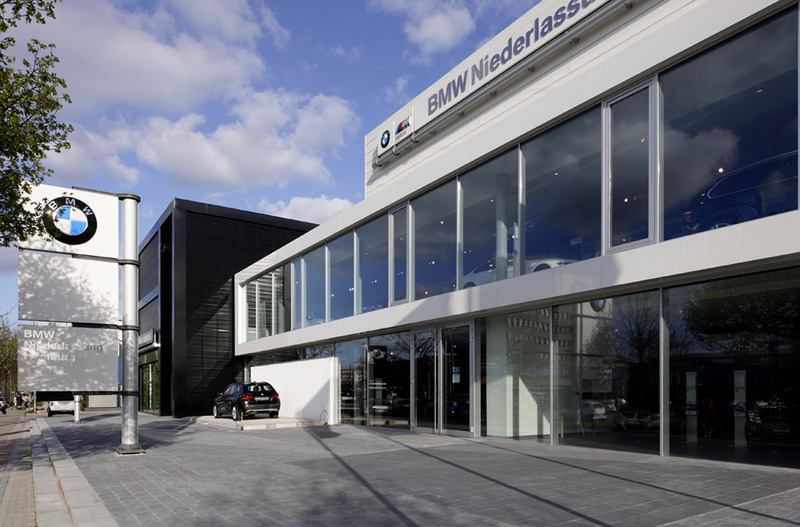 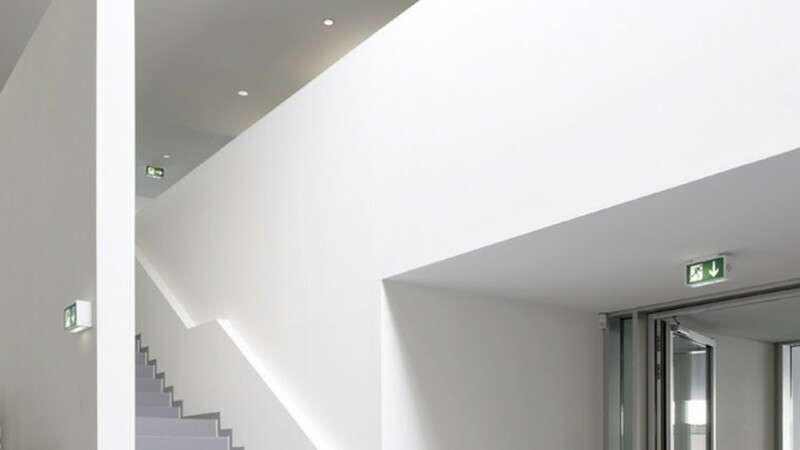 The “Driving-Gallery” of the BMW showroom is conceived as a road, starting in the outside area, leading the customer into the showroom and continuing through to a series of linear spaces. 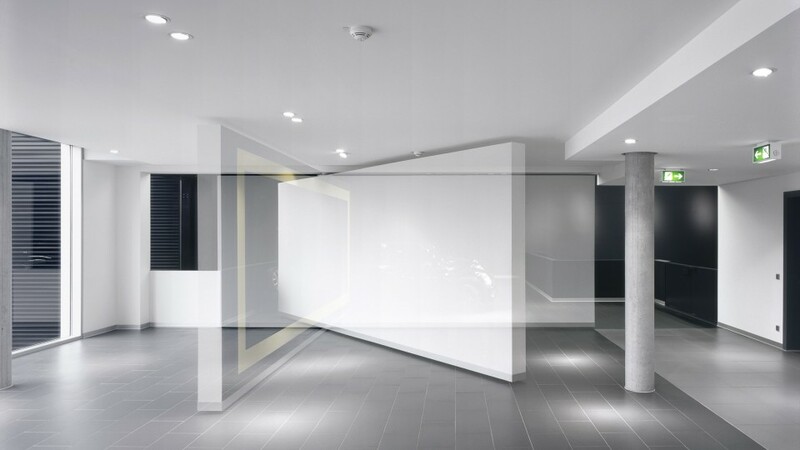 The showroom ‘road’ is enhanced by a strip light, which, together with the walls, floor and ceiling, places further emphasis on the linear design. 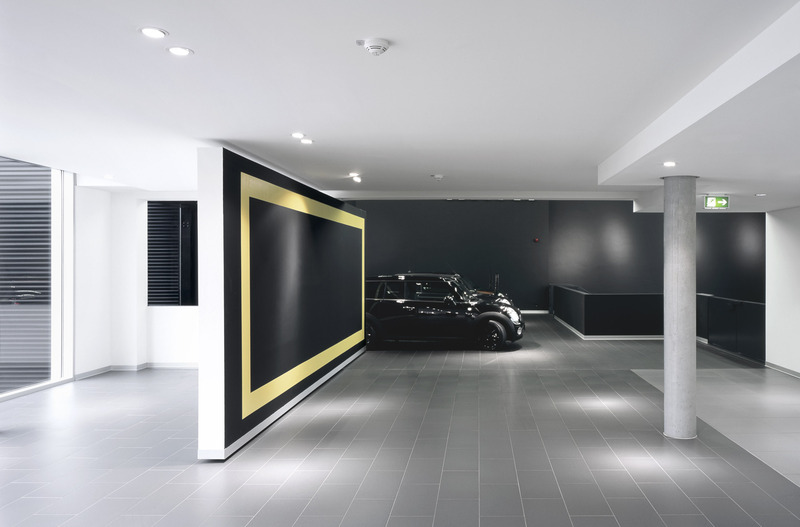 Organised alongside the “Driving-Gallery” are the communal, sales and office areas. 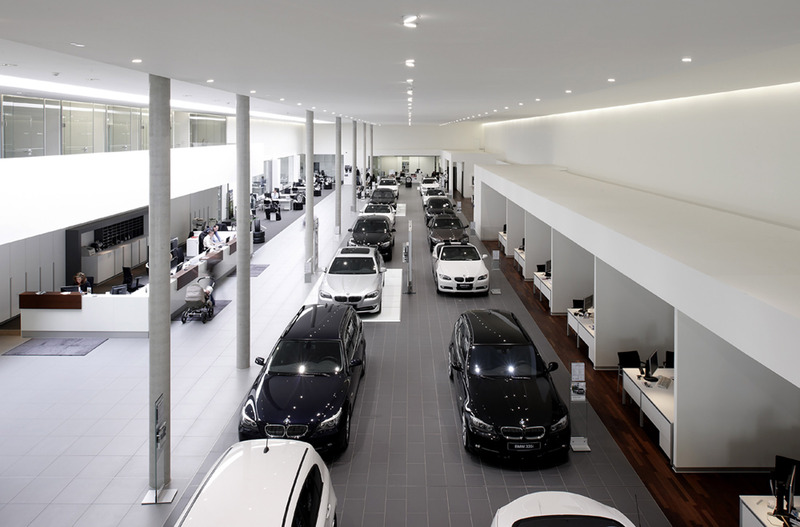 The clear layout of the various spaces with their minimal design helps to create a smoother customer experience. 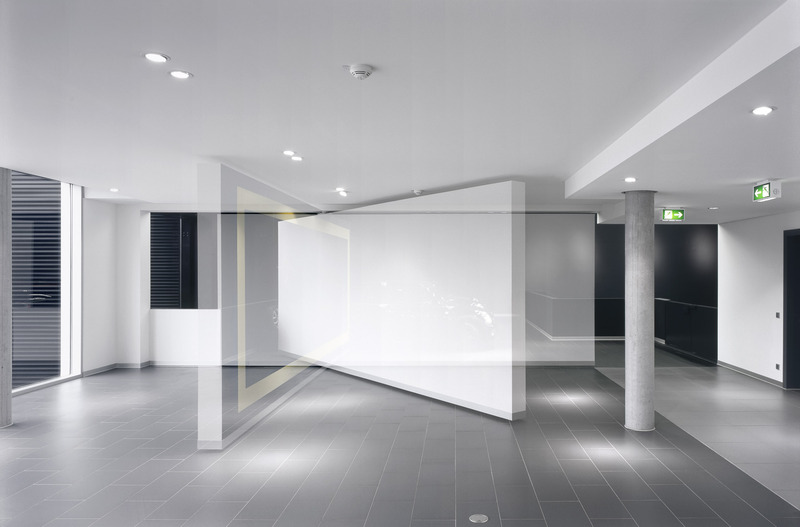 The showroom road continues on the upper floor, presenting the vehicles behind a continuous glass facade to the street. 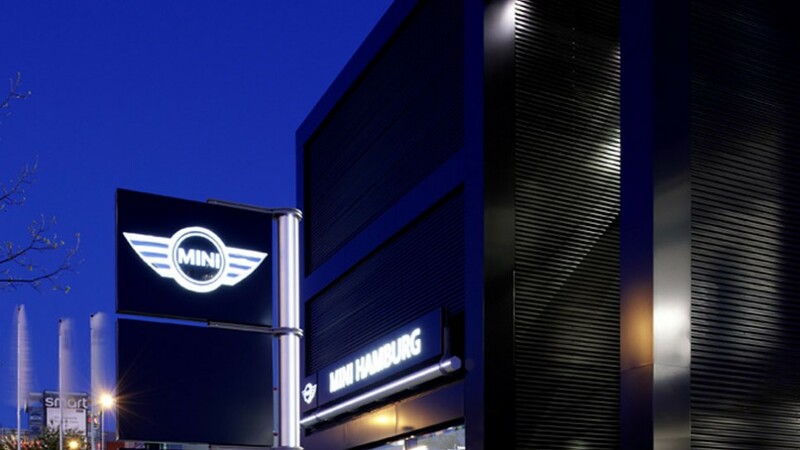 The black structure housing the Mini brand creates a contrast within the building ensemble. 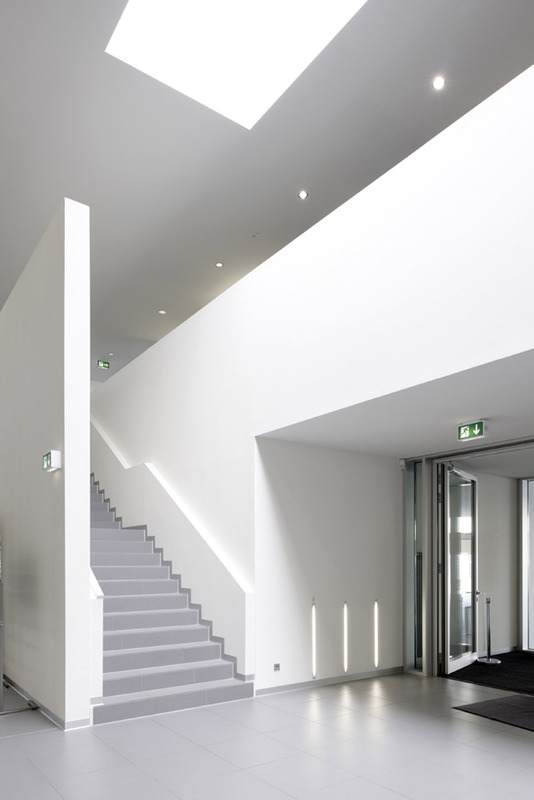 Here the exhibition space is organized vertically by stairs and a lift platform. 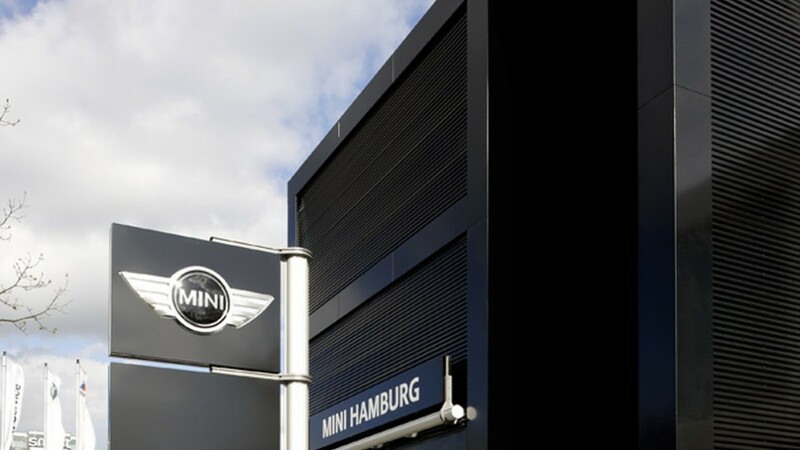 The BMW and Mini areas are connected by a revolving wall, symbolically distinguishing the passageway between the buildings.